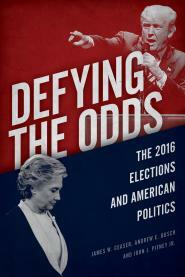 In Defying the Odds, we discuss the early stages of the 2016 campaign, when many candidates were unknowns. We are now in the early stages of the 2020 race. A friend-raiser is a small, informal gathering donors host for would-be candidates. It’s part of an effort to cultivate relationships between potential candidates and donors without money changing hands. Attendees don’t typically write checks at a friend-raiser, as they would for traditional fundraisers. But they trade ideas, business cards and promises to stay in touch, if and when a presidential campaign is launched. “I think that as we start looking at people who are or may be raising their hand in 2020, it’s a chance for many people to get educated about the various candidates, and it’s good for the candidate to expand their network,” said Jon Vein, the prominent Democratic donor who plans to host some gatherings for would-be candidates and prospective donors. Former Vice President Joe Biden, Sen. Kamala Harris (Calif.), Sen. Cory Booker (N.J.), Montana Gov. Steve Bullock, Los Angeles Mayor Eric Garcetti and Colorado Gov. John Hickenlooper are among the Democratic politicians who have met with donors at the gatherings, according to multiple sources. The nation’s biggest liberal donors are gathering in Washington for a postelection briefing where they’ll focus on turning out more voters of color, flipping red states to blue, and combating GOP attacks on voting rights, according to a schedule obtained by HuffPost. Democracy Alliance, a group of more than 100 liberal donors who pledge to give at least $200,000 a year to a list of recommended progressive organizations, is holding a postelection briefing Thursday and Friday. Members of the alliance include bold-faced liberal names like Tom Steyer, George Soros and Susan Sandler. Reporters are not allowed into the event.